On April 21st 2017, U.S. 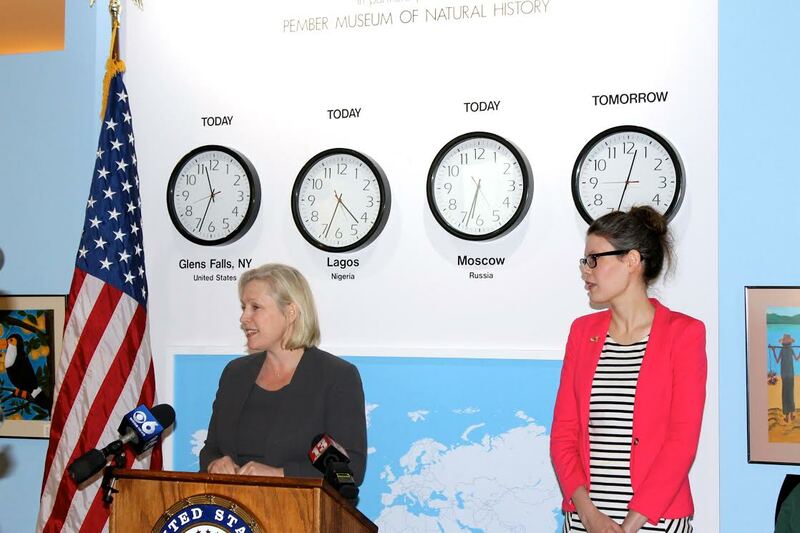 Senator Kirsten Gillibrand visited the World Awareness Children’s Museum to support funding to the National Endowment for the Arts and the National Endowment for the Humanities. She discussed the importance of arts and humanities programs in communities like Glens Falls, and the impact a budget cut would have on arts organizations. U.S. 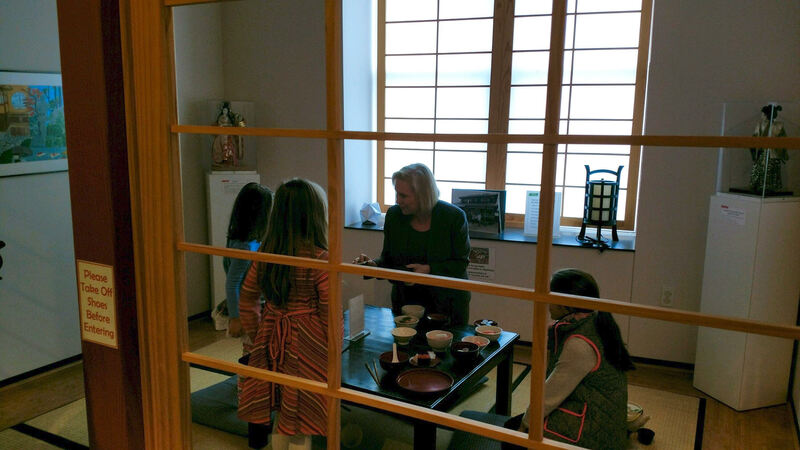 Senator Kirsten Gillibrand discusses sushi with museum visitors in the Japanese Washitsu exhibit. U.S. Senator Kirsten Gillibrand with World Awareness Children’s Museum Program Director, Sheileen Landrey. “I am very appreciative of Senator Gillibrand’s support of the Endowments. This funding supports arts organizations which in turn support local communities by offering strong, engaging programming. The World Awareness Children’s Museum has received support from the NEH to connect with local international communities and present authentic programming. These opportunities have become available through Endowment support and we want to continue offering such strong programming to children and families in this area,” said Sheileen Landrey, Director of Programming World Awareness Children’s Museum. U.S. Senator Kirsten Gillibrand with World Awareness Children’s Museum staff: Diane Dumouchel – Coordinator of Education & Programming, Crystal Schwartz – Museum Operations & Membership Coordinator, Emily Kane – Marketing Specialist, Sheileen Landrey – Director of Programming, & Luke Ely – Receptionist. 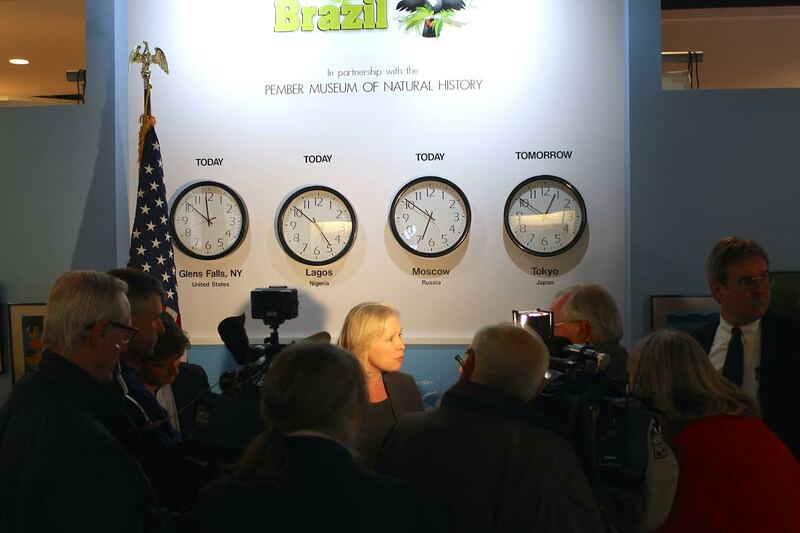 We are honored that Senator Gillibrand chose to visit the World Awareness Children’s Museum in downtown Glens Falls and we appreciate all she does to support organizations like ours.